July 2010 ~ I Can Do That! One of the few Filipino baked goods that was unappealing to me and therefore never had before is egg pie. The custard dessert I remember had very thick nuclear yellow filling and it smelled eggy too. I don't know what came over me today but I suddenly wanted to try a friend's recipe that has only 3 eggs and no cornstarch or flour as thickener. And I'm glad I did bake it. 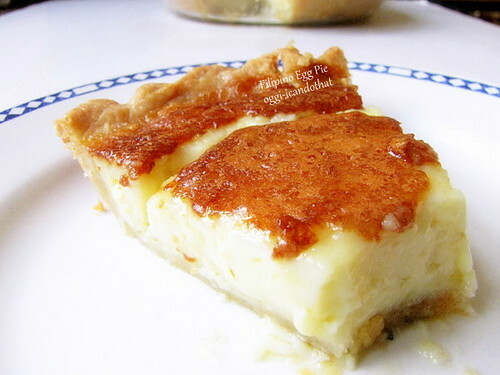 The pie with its light creamy custard filling and my homemade buttery flaky crust is heavenly delicious but oh so rich. The filling has half a cup of butter in it! It is rather an indulgent dessert but I love it specially the subtle flavor combination of vanilla and lemon extracts and the dark brown crust on the custard gives a nice color contrast to the pale yellow filling beneath. This is great stuff. In a large bowl, stir together the flour, sugar, and salt. With fingertips and working quickly, rub the butter into the flour. 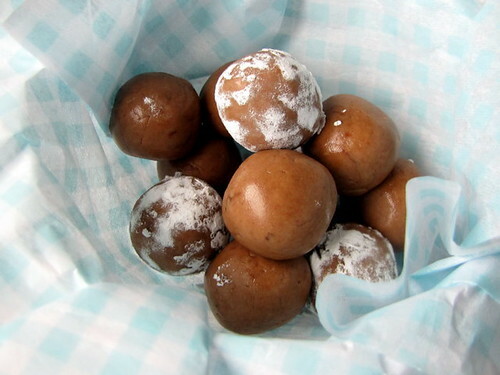 Sprinkle ¼ cup water, adding more if needed, ½ tablespoon at a time, and stir with a fork until the dough comes together and gathers into a ball. Flatten the dough, wrap in plastic wrap, and refrigerate for 2 h0urs. Roll to fit into a 9 or 10-inch pie plate. Trim and crimp the edges using the back of a table knife. 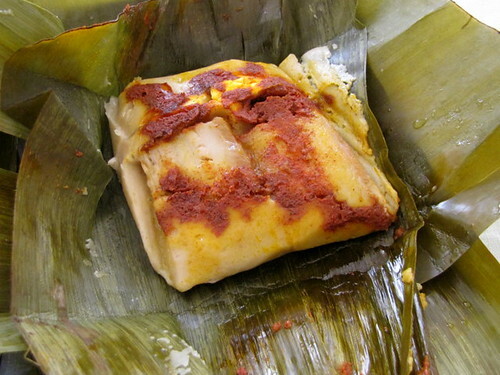 Refrigerate while preparing the filling. In the bowl of a standing mixer with the paddle attachment, beat the eggs, butter, and sugar until fluffy. On low speed, beat in the rest of the ingredients until fully incorporated. Remove the pie shell from the refrigerator, pour the filling in, bake on the lower third shelf of the oven for 1 hour or until crust is golden in color. Cool on a rack for 3 hours before serving. Refrigerate leftovers. 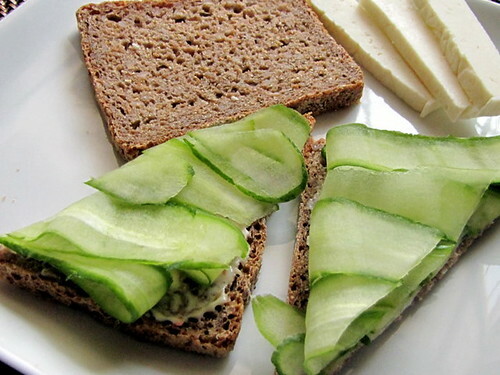 A long-time reader Raissa asked if I have the recipe for the Cheesecake Factory® dark bread that the restaurant chain serves along with a sourdough loaf. I have never been to CF and I presumed it would be a dark whole wheat roll. 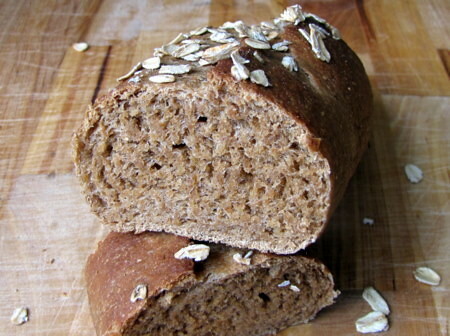 I searched online for description and photos of the bread and found several copycat recipes, from pumpernickel with a little rye flour with cocoa powder and coffee, to sweetish squaw bread. 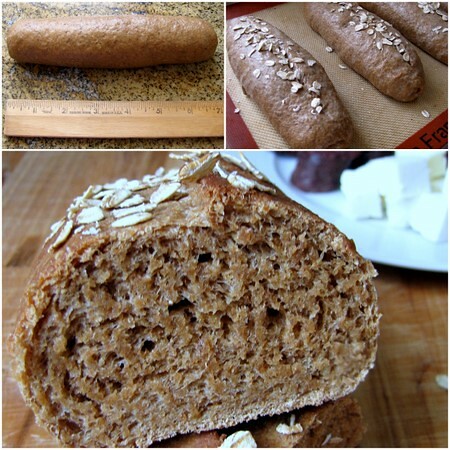 I combined all the recipes with Peter Reinhart's soft rye sandwich bread method of retarding the dough in the refrigerator and came up with a sweetish soft delicious rolls. The rye flavor is almost indistinct and I think they came out a bit lighter in color than the photos. I will add more rye flour and a teaspoon more of caramel powder to the next batch. 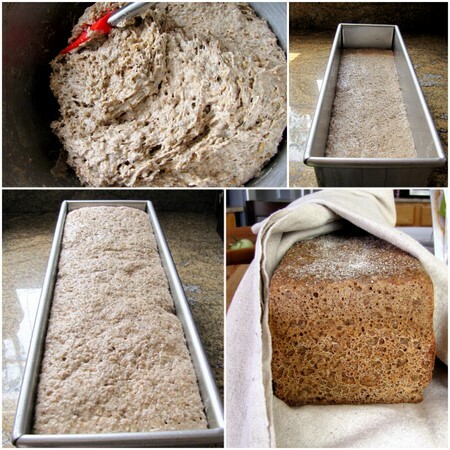 The old-fashioned oats on top give the loaves a good crunch and texture. I love it freshly baked with unsalted butter. I'll try to get some of the CF loaves to have a taste and to know if I did a good copy of their bread. Mix all the dry ingredients in the bowl of a standing mixer. Add all the liquids and mix on low speed with the paddle attachment for 1 minute. Increase the speed to medium-low and mix for another minute. 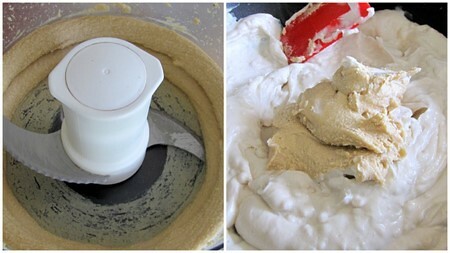 Replace attachment with the dough hook and knead on medium speed for 2 minutes. 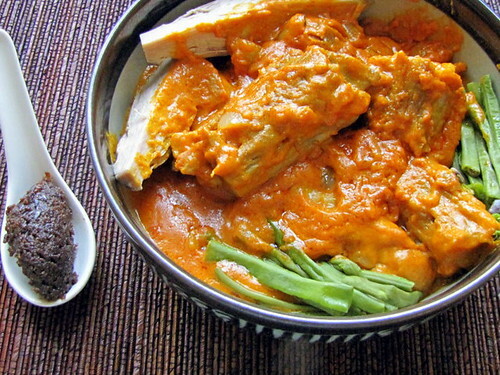 The next day, remove the dough from the refrigerator and divide into four 7-ounce pieces. Cover with plastic wrap and let rest for 30 minutes. 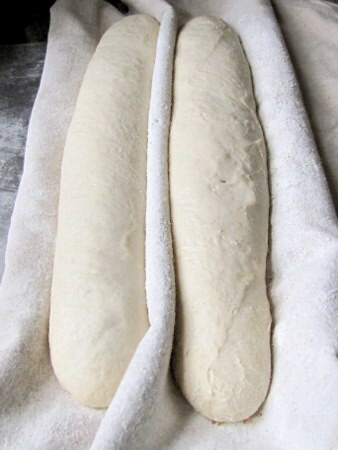 Shape the dough pieces into small logs 7 inches long and 2 inches thick. Arrange on a sheet pan, cover loosely with plastic wrap and let rise 2 hours or until doubled in size. 20 minutes before the rising period ends, place a rack on the lower third position and preheat the oven to 450°F. 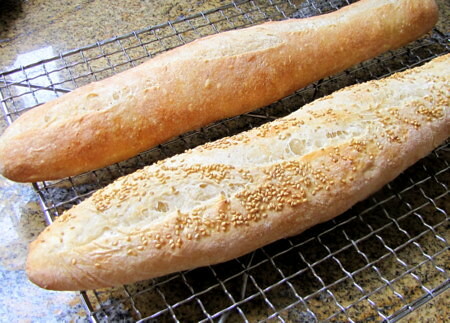 Just before baking, score the loaves ½ inch deep right down the middle. Let it spread a little then spray lightly with water. 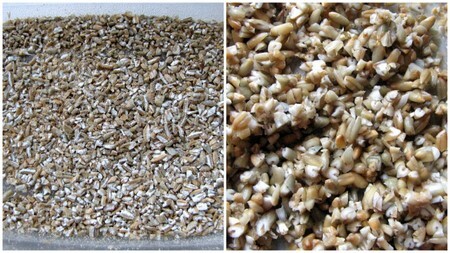 Sprinkle oats on top of the loaves and bake for 10 minutes. Rotate the pan and bake for 7 - 10 minutes more or until nicely browned. 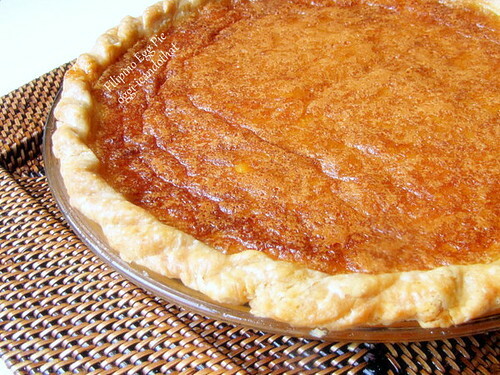 The recipe for this delicious Filipino mango tart is adapted from a recipe I found in one of the countless Filipino recipe directories on the web. It's a bit involved but worth making. The baked shell is very crispy and flaky and the tart is really really yummy. Sift together flour, sugar, and salt. With fingertips mix in butter and shortening until crumbly. Add the egg and stir with a fork. Form into a ball/s. Wrap in plastic and chill for 1 hour. Roll out thinly and ease into tart pan/s, trim edges. Bake in a 400°F oven until golden brown, about 15 minutes. Cool. Remove from pans and set aside. In a saucepan, mix the egg yolks, sugar, and cornstarch with a rubber spatula. Pour the scalded milk and cook over low heat until thick, stirring constantly. Strain into a shallow container and cool for 5 minutes. 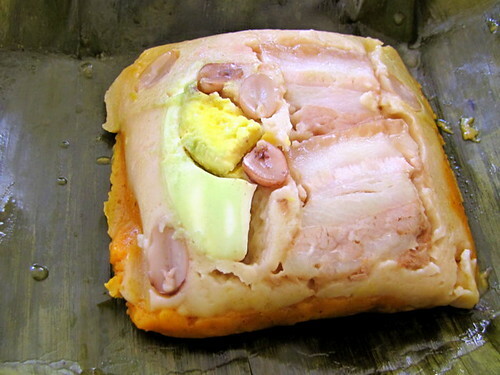 Cover with plastic wrap and chill in the refrigerator for 1 hour. In a small saucepan, boil sugar and 3 tablespoons water to to 230°F. In a standing mixer with the wire whisk attachment, beat egg whites on medium speed until until stiff but not dry. 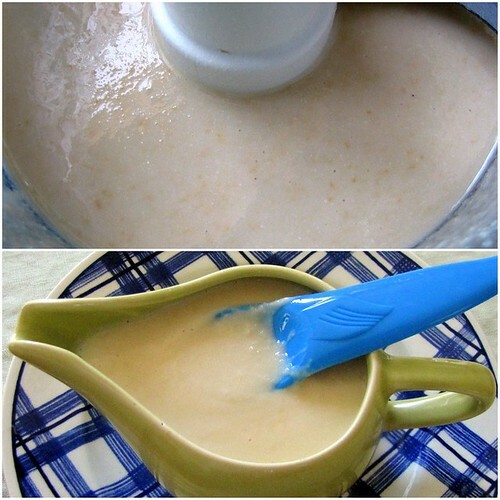 With mixer on high speed, slowly pour hot syrup and beat until the bowl is cool to the touch. Add butter one piece at a time and continue beating until it holds its shape. Add rum or vodka if using. 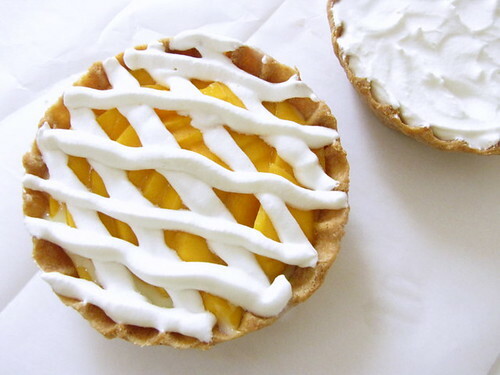 Assemble the mango tart: Fill tart shell/s with a ½-inch thick layer of pastry cream. 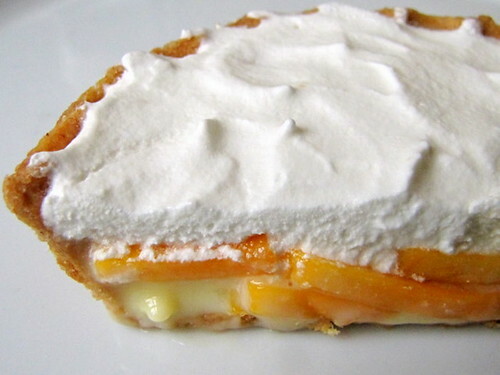 Arrange mango slices on top of cream. Top with meringue buttercream. 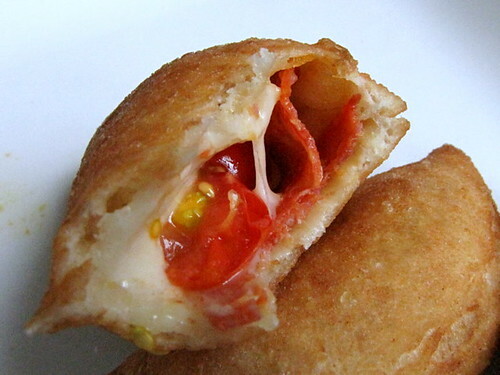 I have been itching to make panzerotti, fried pizza dough filled with cheese and tomatoes or ham, since the day I saw a travel show where people were eating them on the street in Italy, can't remember the city. 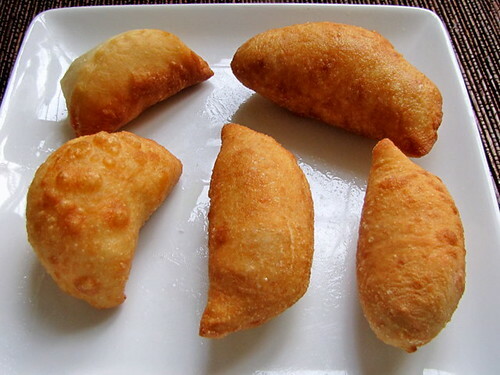 They're like calzone but much smaller in size, and they are fried not baked. 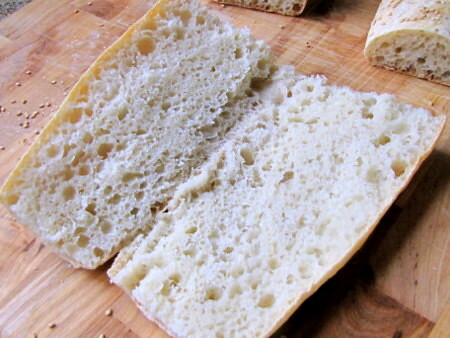 They're easy to make with store-bought pizza dough. These are 5 inch thin dough rounds filled with cheese mixed with chopped tomatoes and pepperoni. The rounds are folded and sealed just like empanada then fried in hot oil until golden brown. They have to be eaten right away as they don't stay crispy. 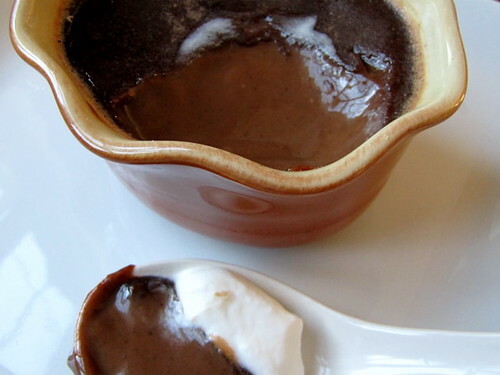 I found a recipe for pots de crème (a fancy term for pudding) with gianduja which sounds really good and one with praline paste which sounds even better. 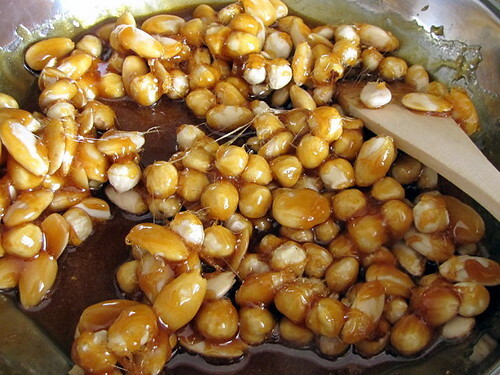 Praline paste is available from the stores but I made it at home with 4 ounces each of blanched and toasted whole almonds and hazelnuts stirred into 9 ounces of golden or darkish hot caramelized sugar; the praline was left to cool for 1 hour then broken into small pieces before processing into an oily paste. This makes about 2 cups of praline paste. 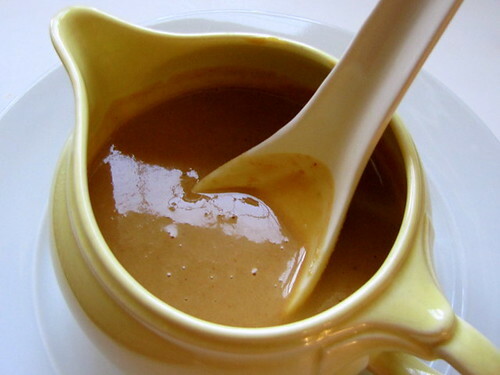 The praline paste is delicious and I love to eat it by the spoonful straight from the jar. Place four 6-ounce ramekins on a cookie sheet and set aside. 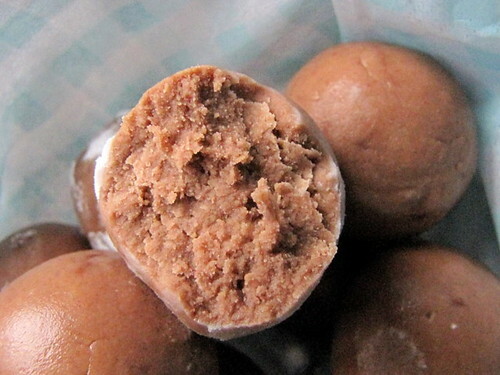 Place the milk chocolate, bittersweet chocolate, and praline paste in a mixing bowl with pouring lip and set aside. In a small mixing bowl, break up the yolks with a fork. Set aside. 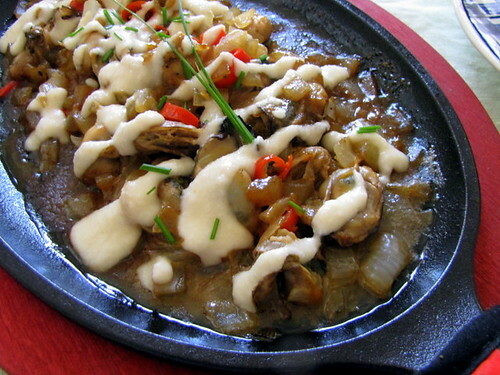 Combine the cream, milk, sugar, and salt in a medium sauce pan. Bring to a simmer over medium-high heat. Pour the mixture over the chocolates and praline paste. Using a whisk, gently mix the ingredients while occasionally scraping the sides of the bowl with a rubber spatula. Continue until the ingredients are fully incorporated. 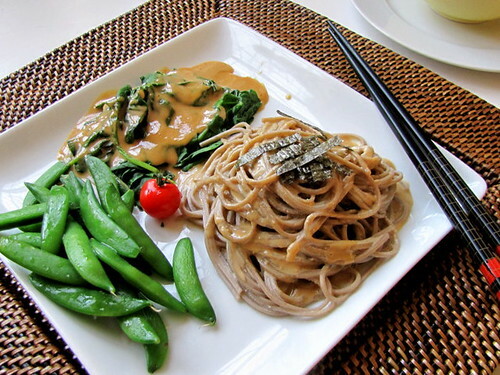 You may use an immersion blender for a finer texture but don't incorporate too much air. Add the egg yolks to the chocolate mixture and gently whisk until fully incorporated. Using a small strainer pour the liquid, filling the ramekins to the top. 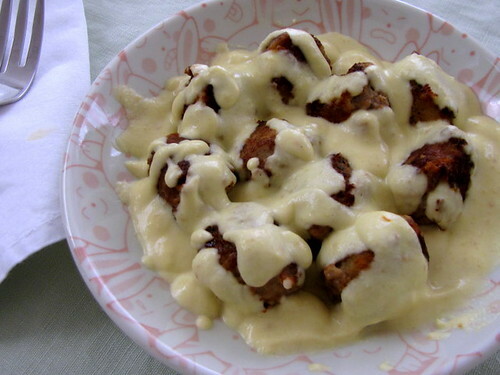 Bake in a bain marie for about 50 minutes or until they are jiggly. Let them cool for about 15 minutes on a rack, cover with plastic film, and refrigerate for up to 2 days. Enjoy them chilled or at room temperature. 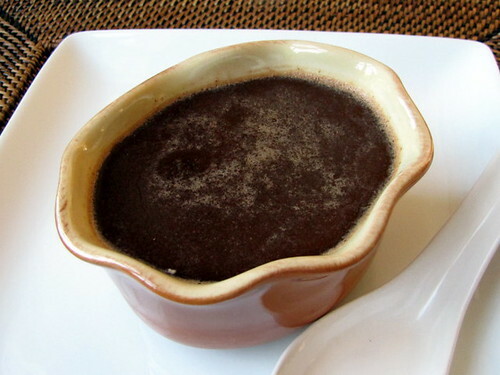 The pudding is silky smooth and a bit runny but will firm up in the refrigerator. I purchased a quart of heavy cream and didn't notice the expiration date was the same day I got it. I used some of the cream for up to a few days after the expiry and the rest I made into butter. I added less than a quarter teaspoon of culture to the cream [the cream can also be churned into butter without] and beat it with a spiral beater on medium speed until the butter and buttermilk separate. The thing I love about this process is I get to use not just the butter but also the buttermilk. The buttermilk is delicious either to drink, yes it's a bit tangy but it's yummy, or to add to biscuits and pancakes. 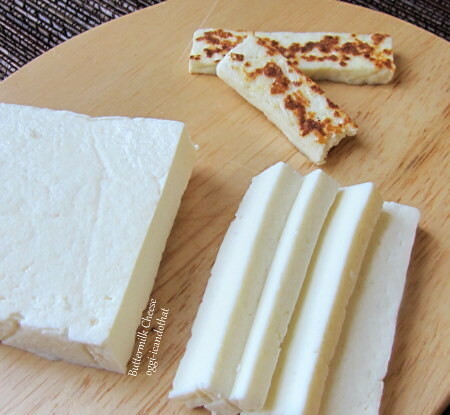 It can also be made into delicious fresh white cheese by mixing with whole milk and boiling until curds form. The curds are spooned onto a sieve lined with round white coffee filter then weighted down. I keep the whey in the refrigerator and I use it for making bread or add it in certain dishes in place of regular tap water. See, no waste at all. I made three different goodies from a quart of heavy cream: butter, buttermilk, and cheese. Line a strainer with three layers of 12-inch cheesecloth squares and set over a deep bowl (if using the whey) or sink. 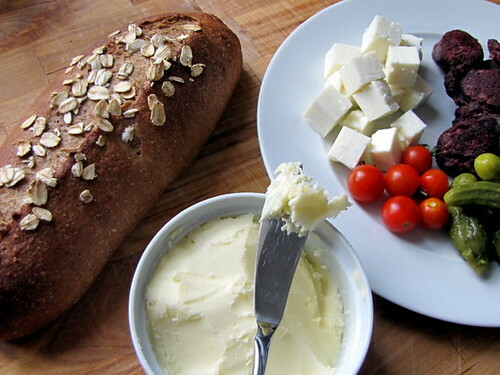 Combine ingredients in a large heavy-bottomed pot over medium-high heat and cook until mixture reaches 180°F and separates into white curds and translucent whey, about 8 minutes. Ladle contents into prepared strainer and drain completely. 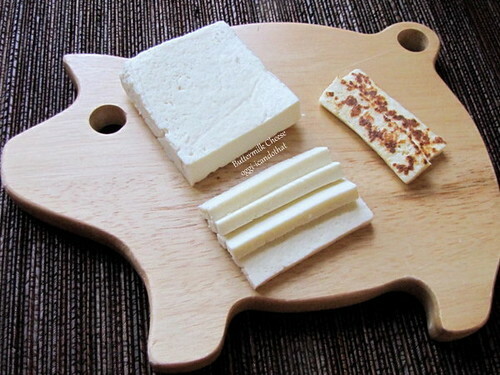 For firmer consistency, transfer cheese on a small flat-bottomed plate lined with round white coffee filter. Shape into a rectangle or round, wrap the cheese with the coffee filter, weight down, let stand in refrigerator until cool, about 10 minutes. Unwrap and gently invert onto plate, discard paper, wrap in plastic film, and refrigerate for another 10 minutes before slicing. 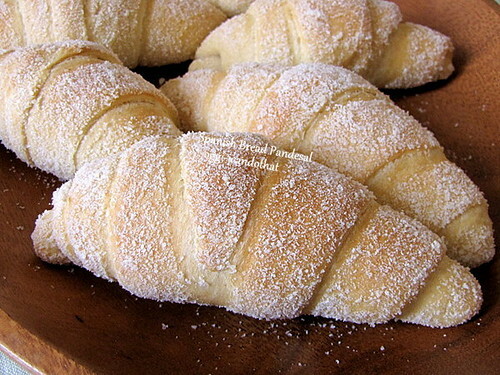 These soft sweet crescent rolls are called Spanish rolls in the Philippines. They have more eggs and are sweeter than regular pan de sal, almost as rich as ensaimada. Just like pan de sal they are rolled in very fine bread crumbs before baking making them uniquely Filipino. I filled the crescent shaped rolls with brown sugar and vanilla paste. 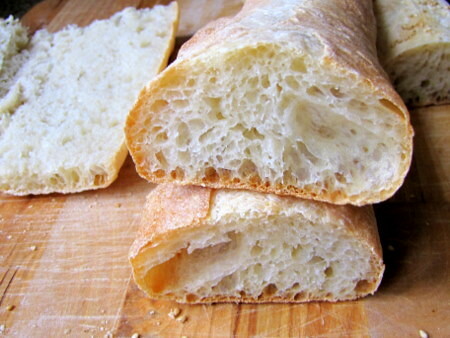 So soft, so delicious specially when freshly baked and hot.